Kyle Grillot - kgrillot@shawmedia.com Prairie Ridge sophomore Cole Brown celebrates after scoring a touchdown in the second quarter of the high school football game against Crystal Lake Central on Friday, September 12, 2014 in Crystal Lake. 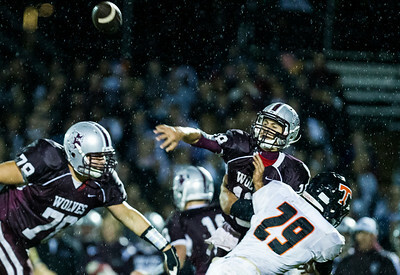 Prairie Ridge beat Crystal Lake Central, 31-21. Kyle Grillot - kgrillot@shawmedia.com Prairie Ridge sophomore Cole Brown runs the ball for a touchdown in the second quarter of the high school football game against Crystal Lake Central on Friday, September 12, 2014 in Crystal Lake. 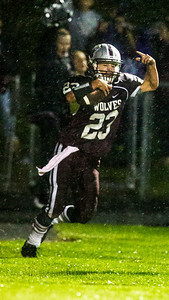 Prairie Ridge beat Crystal Lake Central, 31-21. Kyle Grillot - kgrillot@shawmedia.com Crystal Lake Central senior Ryan Williams (center) is tackled by Prairie Ridge's Jacob Reid (left) and Jonathan Tieman during the second quarter of the high school football game against Crystal Lake Central on Friday, September 12, 2014 in Crystal Lake. 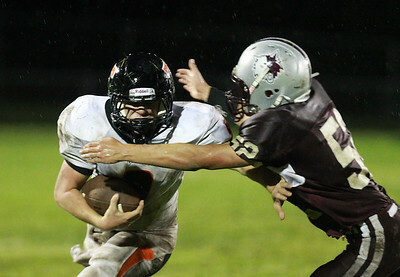 Prairie Ridge beat Crystal Lake Central, 31-21. Kyle Grillot - kgrillot@shawmedia.com Prairie Ridge senior Brett Covalt passes the ball runs the ball during the third quarter of the high school football game against Crystal Lake Central on Friday, September 12, 2014 in Crystal Lake. Prairie Ridge beat Crystal Lake Central, 31-21. 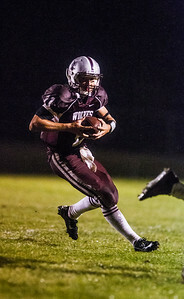 Kyle Grillot - kgrillot@shawmedia.com Prairie Ridge junior Luke Annen runs the ball during the second quarter of the high school football game against Crystal Lake Central on Friday, September 12, 2014 in Crystal Lake. 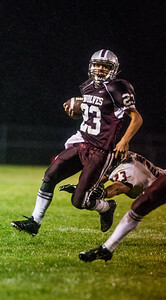 Prairie Ridge beat Crystal Lake Central, 31-21. 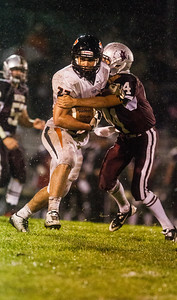 Kyle Grillot - kgrillot@shawmedia.com Crystal Lake Central senior Matt DeCoste (left) is tackled by Prairie Ridge freshman Jacob Ommen during the fourth quarter of the high school football game against Crystal Lake Central on Friday, September 12, 2014 in Crystal Lake. Prairie Ridge beat Crystal Lake Central, 31-21. 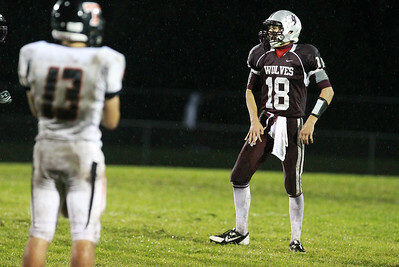 Kyle Grillot - kgrillot@shawmedia.com Prairie Ridge senior Brett Covalt shouts a play at other players during the fourth quarter of the high school football game against Crystal Lake Central on Friday, September 12, 2014 in Crystal Lake. Prairie Ridge beat Crystal Lake Central, 31-21. 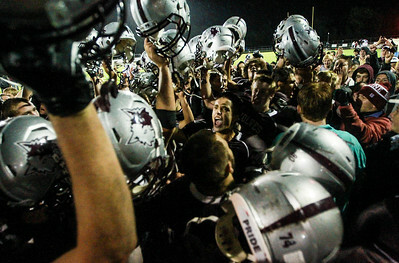 Kyle Grillot - kgrillot@shawmedia.com Prairie Ridge players and fans including junior Nicholas Greenberg (center) celebrate after beating Crystal Lake Central on Friday, September 12, 2014 in Crystal Lake. Prairie Ridge beat Crystal Lake Central, 31-21. Kyle Grillot - kgrillot@shawmedia.com Crystal Lake Central senior Ryan Williams (left) runs the ball under pressure from Prairie Ridge junior Nicholas Greenberg during the third quarter of the high school football game against Crystal Lake Central on Friday, September 12, 2014 in Crystal Lake. Prairie Ridge beat Crystal Lake Central, 31-21. 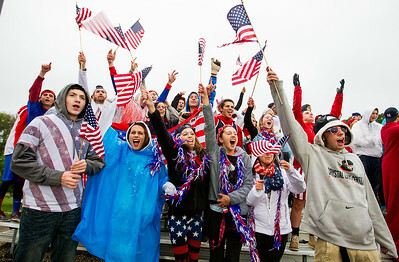 Kyle Grillot - kgrillot@shawmedia.com Crystal Lake Central fans cheer on their team before the start of the game against Prairie Ridge Friday, September 12, 2014 in Crystal Lake. 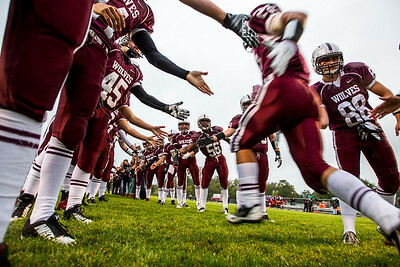 Kyle Grillot - kgrillot@shawmedia.com Prairie Ridge players welcome each other to the field before the start of the game against Crystal Lake Central on Friday, September 12, 2014 in Crystal Lake. 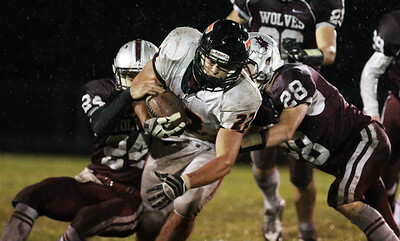 Prairie Ridge beat Crystal Lake Central, 31-21.